To the south of Navarre you have the opportunity to sleep in a different and unique place, some very unique troglodyte caves that the inhabitants of the municipality used as a habitual residence for decades. 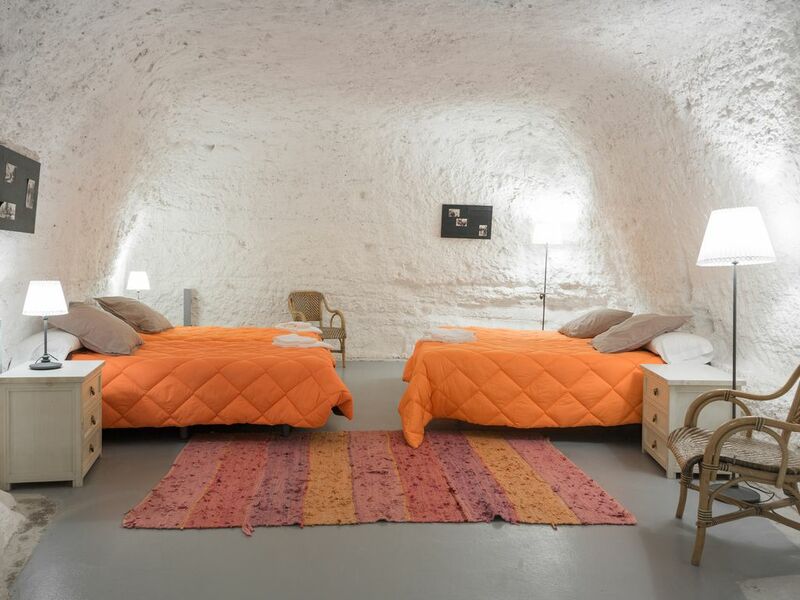 Sleeping in one of these caves is an unforgettable experience, since you are in one of the few tourist accommodations of these characteristics that exist in the world. If you are looking for a family getaway, the place is ideal! children will be happy to sleep in a place like this. In summer, it is a plus to enjoy your private garden or the terrace with barbecue. Among the activities that can be done in the area are the visit to the Bardenas Reales de Navarra, the Senda Viva Amusement Park, 5 minutes away; The Termolúdico Spa of Cascante, 10 minutes away; Tudela, and the possibility of doing activities such as kayaking on the Ebro River, 10 minutes away; visits to wineries; And a long etcetera.